Research suggests 20% of first-time managers are doing a poor job according to their subordinates, 26% of first-time managers felt they were not ready to lead others to begin with, and almost 60% said they never received any training when they transitioned into their first leadership role. As organizations foray into the era of digital transformation, it is quintessential to support first time leaders and provide them the right tools to be successful. Having a strong understanding of what makes them successful can have a direct impact on the business. This is why the role of HR and business leaders is critical in supporting and accelerating the performance of their first time managers. 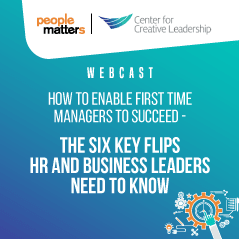 This webinar will focus on how organizations can help this vulnerable set of leaders. What is the definition of first-time managers? Why are they one of the most critical and yet vulnerable set of leaders? What are the biggest challenges that the first time managers encounter? 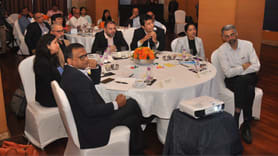 How can organizations transform people-process-technology to help first-time managers effectively deal with these challenges?